In some Muskogee accounts, “tie snake” is basically synonymous with “horned serpent.” In other versions of the myth, they are two separate creatures, of which the tie snake properly so called is much smaller than the horned serpent, and not quite as malevolent. Tie snakes are most often associated with Muskogee culture, but they are also known, for example, to the Hitchiti, Yuchi, Natchez, and Chickasaw. In the Muskogee language, they are called estakwvnayv (ee-stah-kwuh-nah-yuh). In outward appearance, they aren’t terribly different from any ordinary snake. They are usually either black or dark blue in color. In some legends, their head is crooked over like the beak of a hawk. But appearances can be deceiving. Tie snakes are almost always depicted as immensely strong. They often drag humans underwater, so be careful when you go near the water! 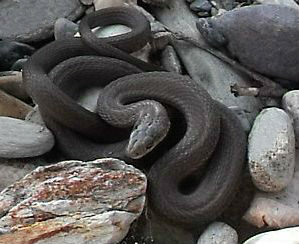 Tie snakes also exert control over water. One account has a tie snake summoning a flood large enough to overwhelm an entire town. Furthermore, these creatures are often shape-shifters. By some accounts, the tie snake was originally a man who was transformed into a serpent-like being after eating taboo food. The most powerful tie snakes are expert animal charmers, able to command ordinary snakes to do their bidding. The “king of the tie snakes” is an almost godlike underworld being who claims to know “all things that are under the earth.” This figure might be depicted seated on a throne made of writhing snakes. He can be both frightening and demanding, but also willing to assist those who are worthy. Tsul ‘kalu is a Cherokee word that roughly translates as “slant-eyed.” In the singular, the word refers an individual, a “lord of the hunt” in the spirit of “master (or mistress) of animals” figures in many world mythologies. He is said to live in Tsunegunyi, on the Tanasee Bald in Jackson County, North Carolina. 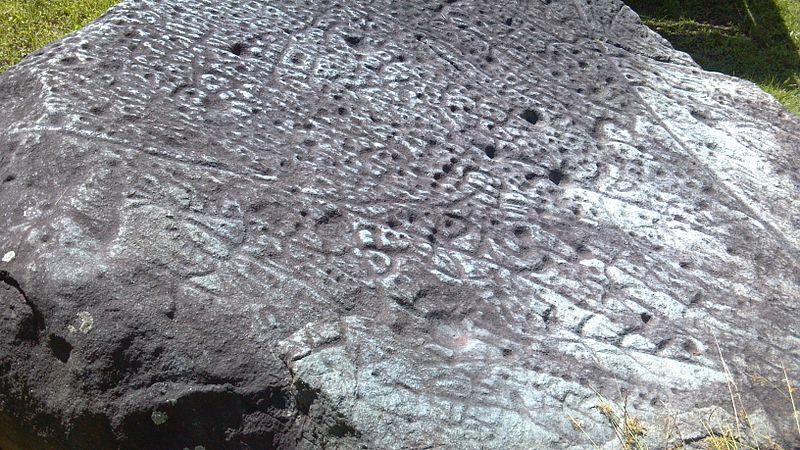 European settlers sometimes garbled Tsul ‘kalu to Judaculla, from which the mysterious Judaculla Rock in western North Carolina gets its name. James Wafford, of the western Cherokee, who was born in Georgia in 1806, says that his grandmother, who must have been born about the middle of the last century, told him that she had beard from the old people that long before her time a party of giants had come once to visit the Cherokee. They were nearly twice as tall as common men, and had their eyes set slanting in their heads, so that the Cherokee called them Tsunil’kälû’, “The Slant-eyed people,” because they looked like the giant hunter Tsul’kälû’.… They said that these giants lived very far away in the direction in which the sun goes down. The Cherokee received them as friends, and they stayed some time, and then returned to their home in the west. In Children of Pride, my protagonists pass by Judaculla Rock on a couple of occasions, although I don’t bring up its associations with Tsul ‘kalu. In Oak, Ash, and Thorn, however, I did manage to find room for a slant-eyed giant as a secondary character. 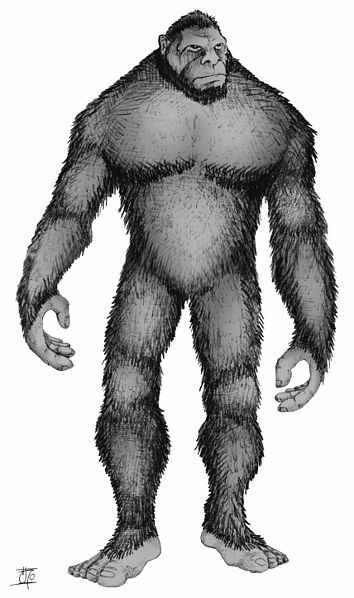 In many ways, the honka or kolowa is the Creeks’ answer to “Bigfoot”—although it is questionable whether Native Americans ever had a “Bigfoot legend” such as white Americans would conceive it. Honkas are malicious creatures. One story reported by Michelle Smith in Legends, Lore and True Tales of the Chattahoochee (The History Press, 2013) describes how a female kolowa killed and ate the wife of a hunter—and other members of his village—while the hunter was away from home. So, apparently you don’t want to startle it. Either it’s as big as a regular bear and it may well gore you with its tusks, or it’s tiny but stinks to high heaven. A systematic approach to defining your races will help shape the underpinnings of your world. How are the races related to one another? Do they share a common ancestor? Can they interbreed and produce viable, fertile offspring? These questions help define your races’ distinct sociopolitical boundaries. The world will feel more authentic, and many readers will appreciate the invested thought. At the bottom of all of this is the issue of relatability. Do members of these groups have the same sorts of goals, aspirations, and emotions as the readers (who are all, at least in theory, human)? The question of who counts as human is a theme underlying my third novel, Oak, Ash, and Thorn, which will be coming in February 2016.